1. YAKIMA APPLEJAM - Battle of the Bands is open to all musical genres and styles. No obscene or offensive lyrics are allowed. Inappropriate lyrics, clothing or behavior will result in immediate disqualification. 2. Participants may enter together as a group, or as a solo performer. Bands and solo artists will compete together and will not be separate as in past years. 3. The STUDENT contest occurs between 12:00 p.m. and 4:00 p.m. MAIN STAGE contest occurs between 4:30 p.m. and 9:00 p.m. on July 4th, 2018. 4. The STUDENT contest is open to any artist 18 and under, bands and solos. The MAIN STAGE contest is all ages, bands or solos. It is our goal to be inclusive and allow for artists to have fun, be creatively expressive and entertain to their best of their abilities. YakimaAppleJam will allow student solo artists to have a single adult play in an accompaniment role in lieu of or to augment pre-recorded music. Likewise, a student-lead band may have a single adult as long as the adult is in an equal or supporting role and not clearly the leader of the band, i.e lead vocals or spokesperson. We recognize that the valley has student musicians that play with family and we also really that solo artists may prefer live instrumentation. We do not want to penalize families, nor do we want to suppress live music in favor of prerecorded music. We believe this rule clarification is in the spirit of the student competition and does not fundamentally change or create an imbalance. 5. An entrant my change their entry up until midnight May16th, 2018. 7. The entry must contain a brief description of the band to be used on the contest webpage. 8. Artists under 18 must have parent's or guardian's permission. 9. By entering online, you are agreeing to have your link/music posted on the official YAKIMA APPLEJAM Battle of the Bands voting contest page, where voters will go online from May 24th at Noon – June 13th, 2018 to listen to the contestants and choose their favorites. The top finalists will be contacted and announced on June 21st, 2018. 10. The finalists will be determined by the number of online votes. 11. No fewer than 5 and no more than 7 finalists in the online MAIN STAGE will advance to the live contests on July 4th, 2018. 12. No fewer than 5 and no more than 10 finalists in the online STUDENT STAGE will advance to the live contests on July 4th, 2018. 13. If fewer than 5 total artists complete the online portion of the contests, all contestants may advance to the live round at the promoters’ or venue’s discretion. 14. Measures will be in place to discourage voting fraud. Ballot stuffing is not allowed. Any band that is caught encouraging ballot fraud may be disqualified. A band encouraging fans to vote is NOT FRAUD. 15. Although the software and voting methods are generally thought to be accurate, no guarantee is made or implied. Voting is non-scientific and considered to be for entertainment purposes. 16. The online voting is intended to pick the winners, but the media partners and sponsors reserve the right to pick finalists and are not bound by the results of the initial online balloting. 17. This is not a contract to play live and there is no obligation. The top finalists from the online voting contest may be asked to play the live concert finale on Wednesday, July 4, 2018 starting at 12:00 pm. 18. Student stage artists will have 25 minutes to set up and perform. Evening stage Bands / artists chosen to play live will have 35 minutes to set up, play and tear down. Bands may have helpers set up and tear down. Details will be made available to bands that proceed to the finals. Time will be made available for a sound check and will not be counted against total time. 19. The top finalists chosen for the live competition must complete a contestant packet and sign a release form for pictures prior to competing at the final event. 20. Judges have the final decision in selecting winners at the live final concert. The judging panel will consist of several figures from the local area and may include a celebrity judge from outside the area. 22. The panel of judges will vote on a scale from 1-10 in each of the categories. All scores will be added up and the sum will be the band’s final score. 23. Judges will be given ten minutes at the end of the contest to reassess performances and the re-rating will be listed clearly on a separate line. 24. The band with the highest total points after re-rating will be deemed the winner and a prize of $1,000 will be awarded. The student show winner will be awarded $500. 25. Additional prizes for 2nd, 3rd and other places may be given out, but are not guaranteed and will be at the promoter’s discretion. 26. 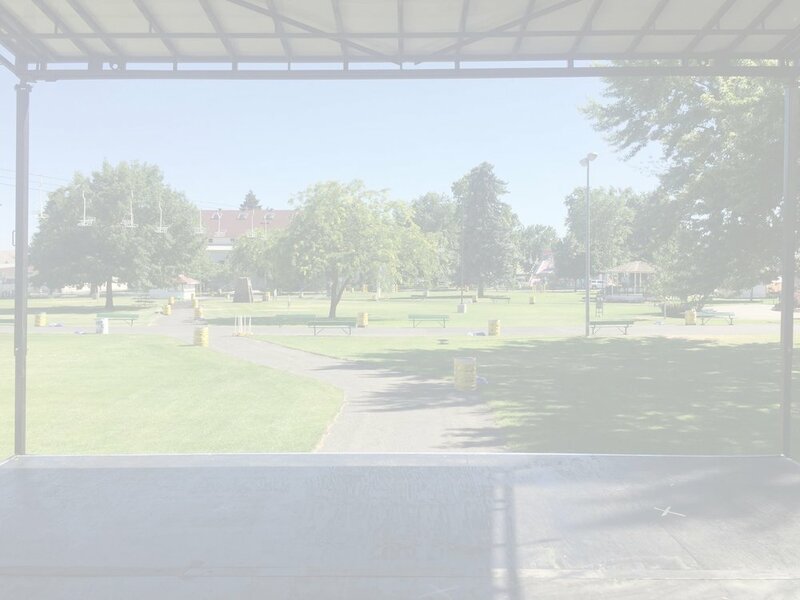 The offer to play at the Central Washington State Fair for the student and main stage winners is conditional upon the Central Washington State Fair and the performer agreeing to terms of the performance..
27. The offer to play at Chinook Fest for the main stage winner is conditional upon Chinook Entertainment and the performer agreeing to terms of the performance. Rules updated: Monday, June 25th, 2018. Change to student stage time was made to clarify that they will have the same time as the solo artists in 2017.